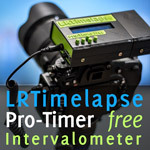 I didn't see anything stating otherwise in any of the forums, but is LRTimelapse 5.x Compatible with macOS 10.14 Mojave? I'd like to know before I upgrade. I didn't try it yet. Anyone? I've just tried LRT v5 with Mojave and all seems to work fine in a quick look opening and deflickering an existing sequence. I've not tried a full workflow yet from scratch. Lightroom Classic CC runs fine, as it should as well. As does Bridge. There was a report Lightroom Classic was crashing when importing from an SD card but I tried that with a handful of Raw files and it worked fine. This is all on a 2017 iMac 27-inch 5K machine. I can't speak for older and slower computers, but Mojave is compatible with older machines going back quite a way. It does ask for permission to allow certain apps access to functions, such as Accessibility. If that isn't allowed there could be issues perhaps. 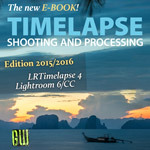 But LRTimelapse opened fine without any complaints or dialog boxes. I think the main issues would be running older versions of software on Mojave -- old CS4 to CS5 versions of Photoshop or Bridge, or older versions of Lightroom. But so far even older, no longer supported apps such as Aperture and iWeb are running fine. But Apple states that Mojave is the last MacOS that will still support older 32-bit apps, and perhaps even then not always well. For example, my copy of FITSLiberator refuses to open. Developers will need to update apps or face extinction. But if you depend on apps that are no longer supported (as I do with Aperture for some functions) then this next year could be the final chance to use them! Until whatever comes after Mojave as MacOS v10.15 a year from now comes out. This post was last modified: 2018-09-26, 08:22 by MMeier. Just tried lrt at my end after upgrading my late 21013 iMac and it looks good as well except the following window opening of dng converter. I will test it in more details tonight. Thanks for your feedback. @monika: when does the window open? Is it reproducible? It‘s opening when I open lrt. Closed dng converter, closed lrt. I restarted lrt and the dng converter opened again. I had to leave in the morning and could not test it in more details. Let me know if you need more details Gunther. I would like to give it a try with processing a new sequence but I will only be able to do so in the evening. Yes, thanks for any further insights. 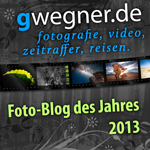 I'll do some testing on my own when I'm back from Photokina. I did some more testing now. I closed the DNG converter by pushing the button "Beenden" reopened LRT and it popped up again. I restarted the iMac restarted LRT and it popped up again. After this I have decided to close the DNG Converter by clicking on "Beenden" in my earlier screenshot and as before not amending anything in the shown DNG screen. LRT remained open and I started processing a sequence from the beginning which had not been edited earlier. I went through the full HG workflow and all worked out as always. The only thing what happened that the DNG Converter icon remained in the dock of my iMac after having generated the visual previews and a second icon appeared after the visual deflicker had been done. Going through the workflow of an additional sequence let me ending up with 4 DNG Converter icons in the dock which are not open and can be removed again from the dock easily. I don't know if they will be more popping up once I go ahead with previews / deflicker of other sequences...... This only happens since the update to macOS Mojave and never before. Let me know if you require additional background information from my end. I think I found the reason for the unknown behaviour of the DNG converter after having checked some standard settings on the iMac. Since the update to Mojave there was the following box ticked in the system settings of the iMac under dock: "zuletzt verwendete Programme im Dock anzeigen". I have had nothing changed there so this might come by default when upgrading to macOS Mojave. Removing the tick in this box has helped not to visually open the DNG Converter while opening LRT and also not after having generated the visual previews and the visual deflicker. After having found the reason for the amended DNG Converter behaviour I cannot see any difference to the prior macOS version while working with LRT and it works perfectly fine as always in the past and I do not see any reason in regard to LRT why an update to Mojave should cause any issues.